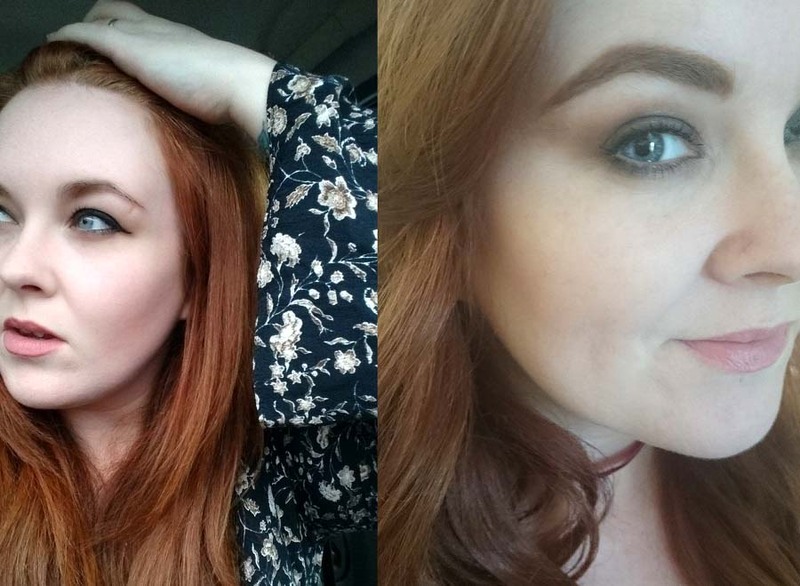 Being a natural redhead means that I was blessed with disappearing eyebrows. They're there one minute and as soon as my face flushes or heats up or I get embarrassed... they vanish. Curses to reddish blonde eyebrows! Over the last while I've been a little more experimental than usual with my eyebrows. Usually, every 6 months or so, I'll take a notion and head into a beauty salon to have them shaped and tinted (I never EVER pluck at home, can't stomach it!) and am usually happy enough with them, though they're never quite the brow statement I had been wishing for. I suppose there's only so much can be done as not only are my eyebrows light, they're quite fine as well. It all adds up to one thing really. How on earth can one with such eyebrows compete in today's Brow Games (think Hunger Games, only it's eyebrows). Well! A couple of weeks ago I was in House of Fraser, Belfast and a lovely girl at the Benefit Counter magically appeared in front of me, lamenting over my brows. After a sympathetic nod or two she sat me down and began what she described as my 'Brow Transformation'. In fairness, she did a good job at convincing me to be a little bolder in regards to filling my eyebrows though I do believe she maybe got a little over excited as the brows I left with were a little too much on the dark side for me and there was no symmetry BUT a grand job for the 3 minutes she had to spare. Although the girl used Brow Zings on me in House of Fraser and I was considering the purchase, I came home and 'shopped my stash'. Basically, I emptied out all of my makeup and had an in-depth look at what I already had. Lo and behold, it turned out I already had a brow kit in my makeup collection. Granted, it's a little grubby as it's been lying in the bottom of one of my makeup drawers but it's still 'in date' and usable. The one I happened to have (don't ask me how as I'm not even sure myself! ), was luckily in shade Light. Inside we had 2 different shades. A darker clay / light brown shade with reddish tones, waxy in consistency, and the lighter ash blonde, which is a powder. 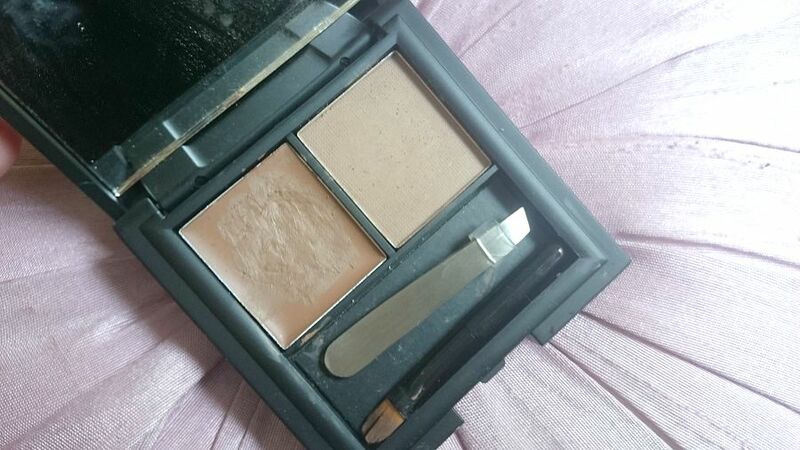 Thankfully, thanks to the Benefit counter, I now knew how to use both shades and so I set about outlining my brows with the darker shade, using the little brush that is provided. I then used the lighter of the two shades to fill in and 'set' the brow. 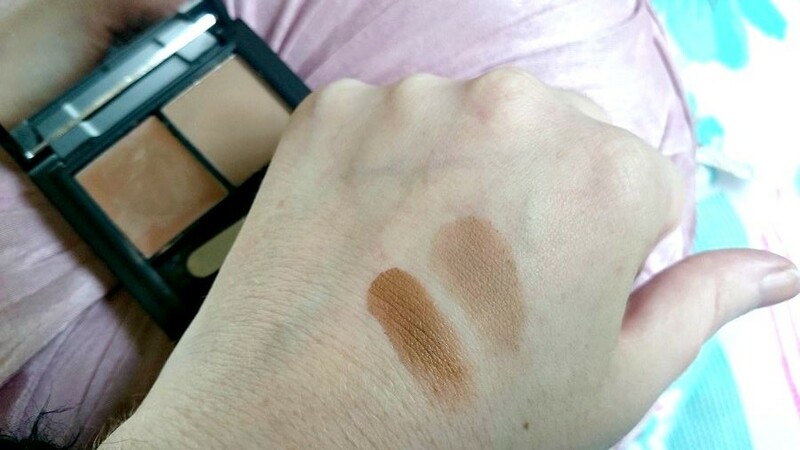 The photo on the right shows the Sleek Brow Kit in Light on my brow. 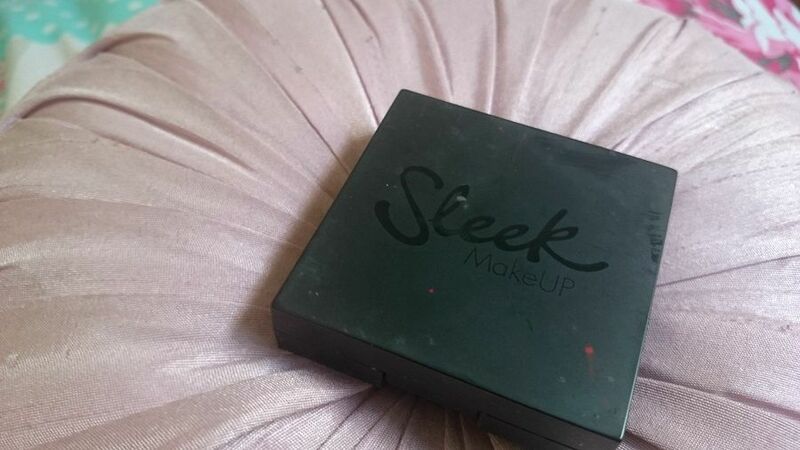 It works to give me thicker and slightly darkened brows. I found with tinting that my brows tend to look very harsh and after a week or so the brow tint becomes patchy in areas. Not any more! I had wanted to try a statement WOW BROW for ages and I'm really pleased with the efforts of my experimentation! Because I've taken yet another notion to try and grow out my fringe, a strong brow is just what my face needed. I'm coming around to the look more and more, it makes my daily makeup routine easier as I find I don't need to wear as much eye makeup at all, the brows do all the work for me. I'm still considering Brow Zings but at just £8.49, the Sleek Makeup Brow Kit is a more budget friendly option and it does exactly what it's supposed to. At Benefit, my brows were done using their lightest palette however the Sleek palette is just a little touch lighter still, which I really like!